Without tulips many perennial meadow and naturalistic planting schemes would be very dull at the beginning of spring. I mix them into my borders, dropping them into any spaces I find between the perennials. In spring they flower amidst the emerging foliage and sometimes the flowers of these other plants. 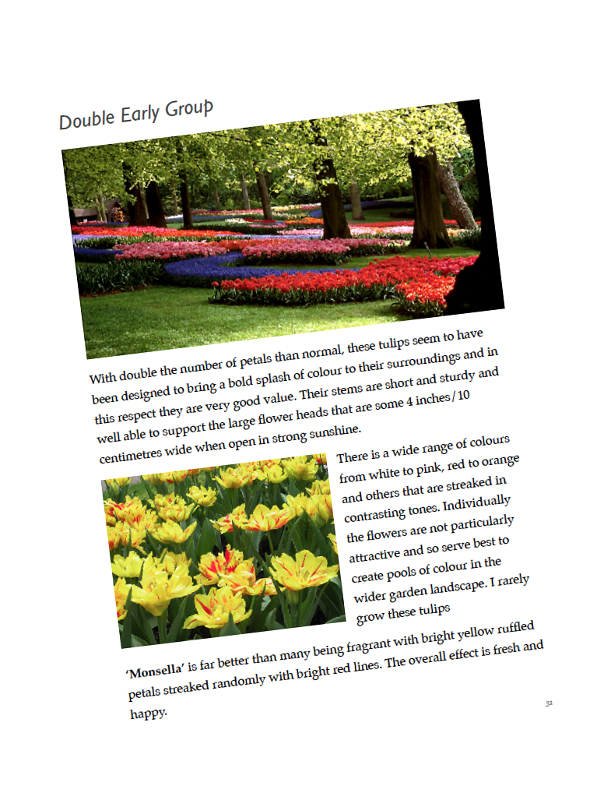 This Tulips eBook aims to summarise the important points you need to know about how best to use tulips in the naturalistic style. We are not interested in mass plantings as you see so often in public spaces and parks. In gardens, tulips need to be placed and combined sensitively with the other garden plants that surrounding them: shubs, trees, perennials and other spring flowering bulbs. 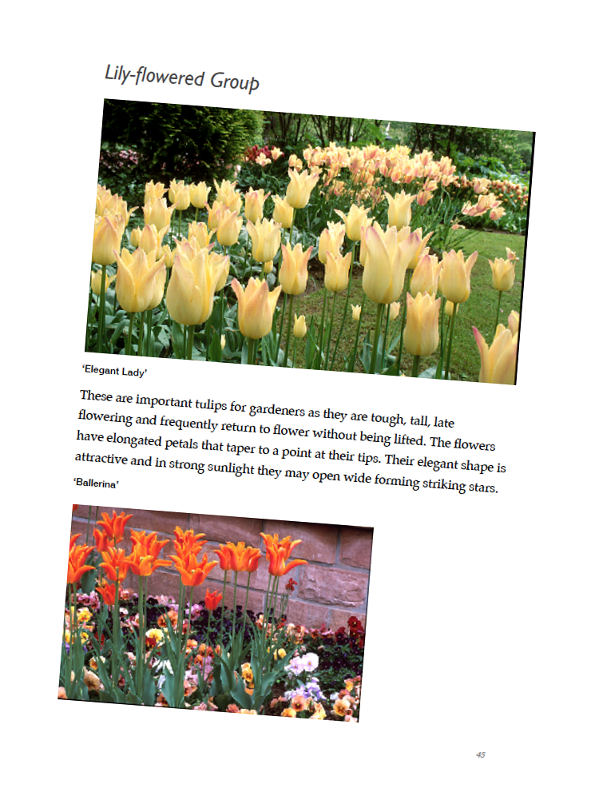 There are early and late flowering tulips and many that fit in-between. I explain which types fall into each category and, accordingly, how best to use them. The different groups of tulips exhibit specific characteristics which we need to appreciate in order to use them well in our gardens. Their characters range from the exquisite beauty of some Viridiflora Group tulips to the brash vigour of the Darwinhybrids. Throughout a survey of these different types I recommend specific species and cultivars that have proved reliable in my own gardens. 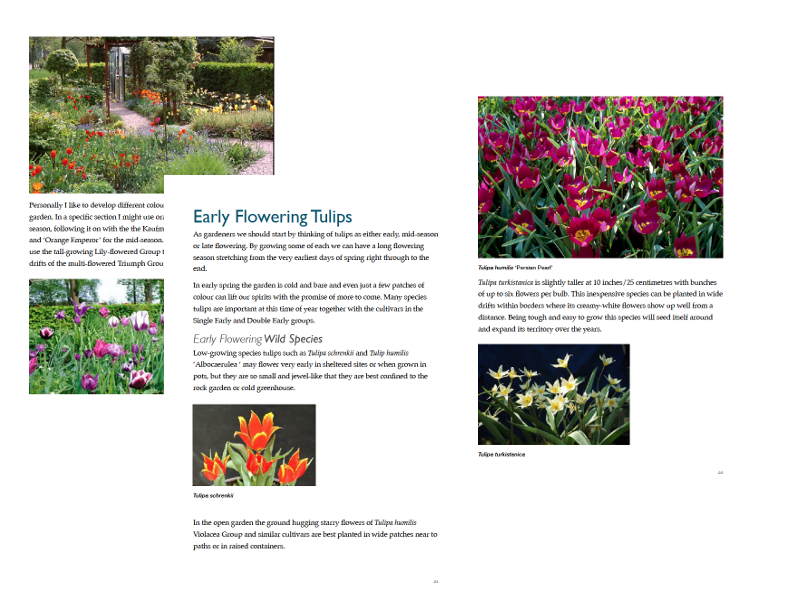 Tulip bulbs can be planted any time up until the end of the year but in order to see them return year on year you need to plant the right ones in the right way; Tulips Design & Plant will show you how. 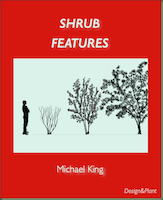 SHRUB FEATURES is a unique book that shows how to combine shrubs with perennials in a powerful and effective manner that is appropriate for today’s smaller gardens. 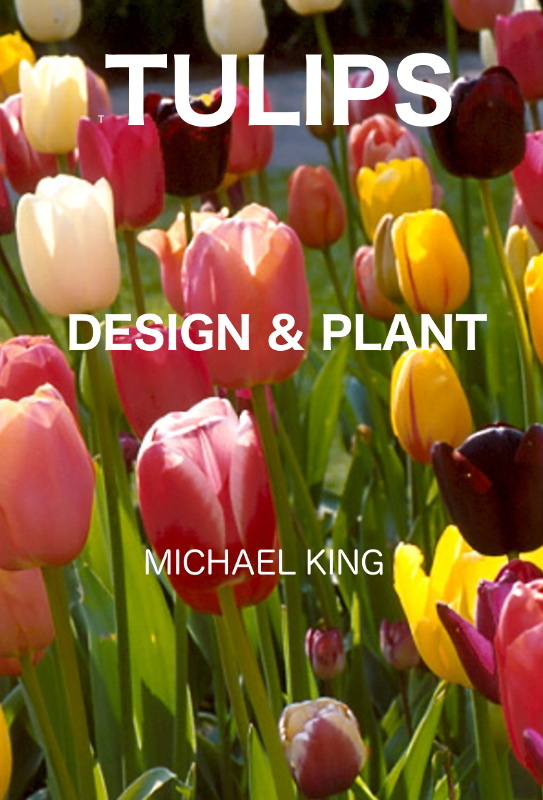 GRASS KING BOOKs are for amateur gardeners and professional landscapers alike – clear and simple. Which are the very best species and cultivars and how to use them is revealed herein. 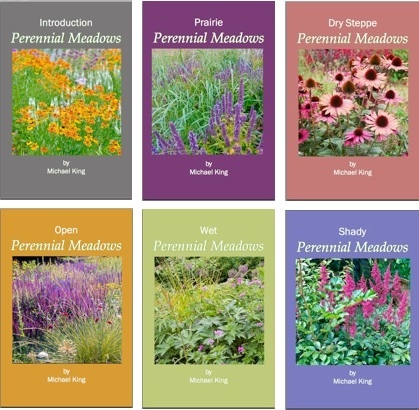 View details about the Perennial Meadow series of eBooks here.